"Studying and protecting each & every living species on Earth is a major challenge of the 21st century. Yet, most species remain unknown or unstudied, while others attract most of the public, scientific & government attention." NatureSpot to the rescue then! 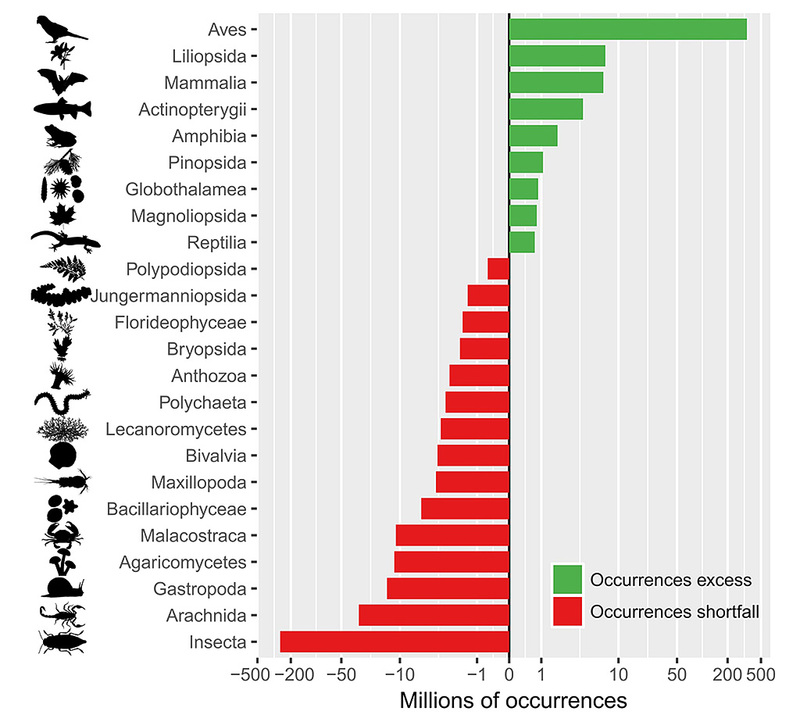 However, a recent scientific paper raises some interesting points about taxonomic bias - which groups of organisms are over-sampled and which are under-studied? 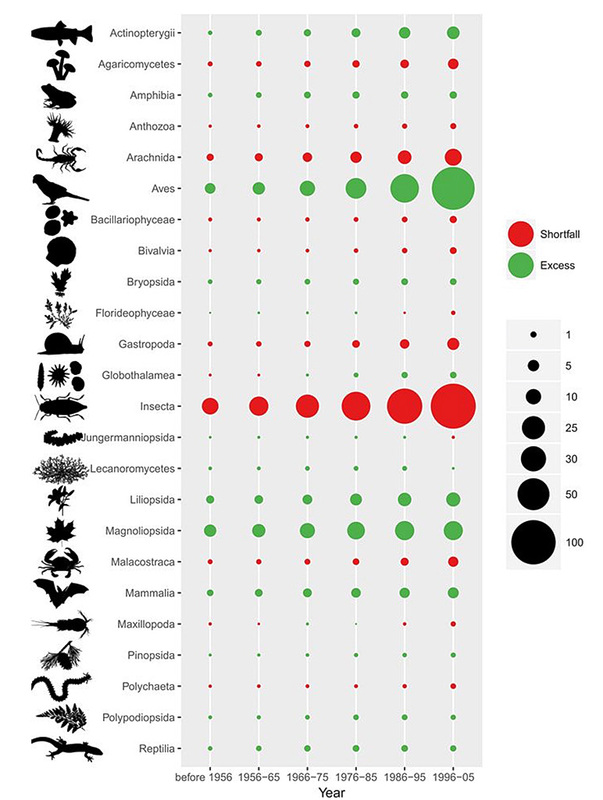 To answer this, the authors looked at 626 million records from the Global Biodiversity Information Facility, the biggest online biodiversity dataset, dividing them into 24 taxonomic groups. Then they examined the amount of scientific papers published for each of these groups and thus they were able to compare what "scientists" are interested in with what "the public" likes. Unsurprisingly, there's a big difference between the two. The results will probably not surprise you. The public like birds best, loves them in fact. They like flowers too, and cute furry animals. There's an awful lot of Walt Disney going on. They're split over reptiles and indifferent about worms but they hate fungi, spiders and insects. Interestingly, these diferences seem to be recent trends happening over the last 50 years. We all know how keen the Victorians were on their beetles and moths, but it's only since the 1950s that birds have ruled the roost. And until we have a Royal Society for the Protection of Insects and Springwatch leads on spiders rather than Ospreys, that's not going to change. Where do we go from here? The authors recommend that "scientists should advertise less charismatic species and develop societal initiatives (e.g. citizen science) that specifically target neglected organisms". Like I said, NatureSpot to the rescue!